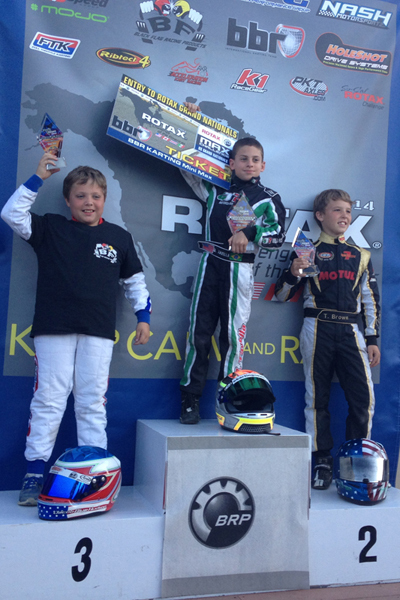 Continuing to make waves in the karting ranks, Massapequa, New York's Dylan Tavella earned his first championship title in the Rotax Mini Max class this past weekend. Tackling the potent Mini Max category and the Rotax Challenge of the Americas (RCOA) for the first time, the young Tavella left the Simraceway Performance Driving Center in Sonoma, California with his second victory in the series and class, as well as the overall Mini Max Championship title. After earning a podium and victory at the RCOA season opener in January and a fourth place and second place finish at the Phoenix round in February, Tavella would look to make it back to the top step of the podium while in California's wine country. 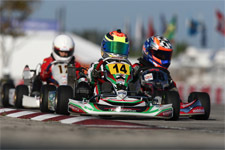 Coming off another podium result from the Florida Winter Tour Orlando finale in the TaG Cadet category, Tavella was ready for Rotax racing action. 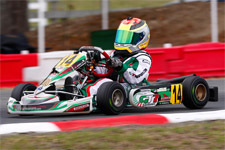 Starting out his effort with an eighth place qualifying run on Saturday, the Tony Kart driver would move up nicely in the prefinal to finish third. The rookie pilot then jumped from his third place starting position to the lead at the start of the day's final. Slotting back into second, Tavella pushed the leader as they tried to pull a gap from the third place driver. Holding station until the final circuit, Tavella then made his move for the win on the final straightaway. Drag racing to the checkered flag, the young gun crossed a mere .029 seconds ahead to take his second victory in the series along with fast lap honors of the race. Sunday saw Tavella return to the Simraceway for the finale round of the 2014 RCOA. 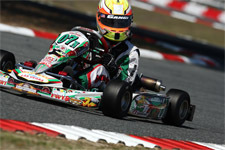 Bettering to seventh in qualifying, the 2013 Rotax Micro & Mini Invitational champion had a trying day after posting a DNF in the final. Out on lap five and scored in 14th, Tavella would then battle back to recover a top-ten finish in the final. 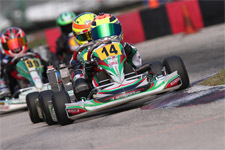 With the final points tabulated, Tavella would earn the title of the 2014 Rotax Challenge of the Americas Mini Max Champion, in his rookie attempt at the series and in his rookie season in the Mini Max ranks. 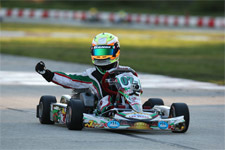 The champion was also awarded a ticket to the Rotax MAX Challenge United States Grand Nationals, set for later this year at the Miller Motorsports Park in Tooele, Utah. 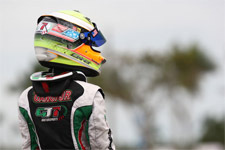 Dylan Tavella would like to extend a special thank you to Charlie Swayne, the best tuner and motor builder, Willie for the cool parts, GT7 Motorsports, K1 RaceGear, as well as everyone at the Rotax Challenge of the Americas and the Simraceway.